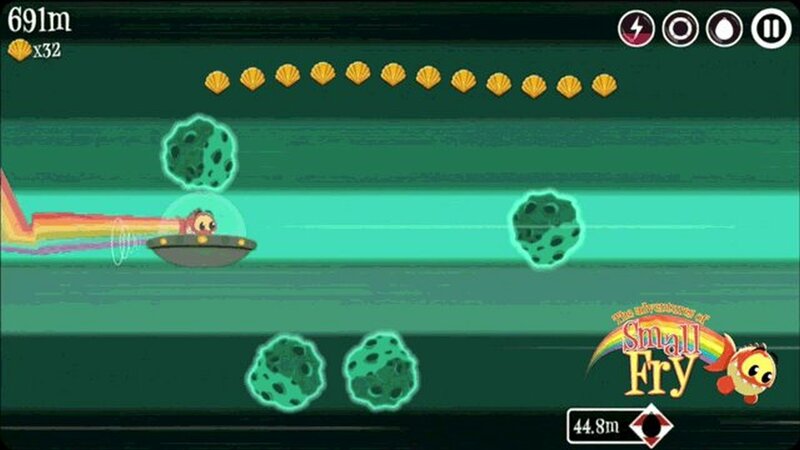 Small Fry (Free), the Noodlecake-published endless runner – or endless swimmer, or dolphin diver, or whatever you want to call its whole situation – by No Monkeys, is getting a big update next week that will bring a new gameplay mode and new reasons to play often. As seen in the GIF, the spaceship will also use a swiping control mechanic to dodge asteroids, mixing things up a bit. As well, daily challenges will be added to the game. The objectives will include item collecting, traveling a certain distance, and more of the standard objectives that endless runners like this challenge you to do. Noodlecake is promising “juicy rewards," which should hopefully make getting new outfits and upgrades easier for those willing to play often. As well, there will be a few minor changes to help make the game feel better and to help out new players more. The update goes live next Wednesday, July 16th.